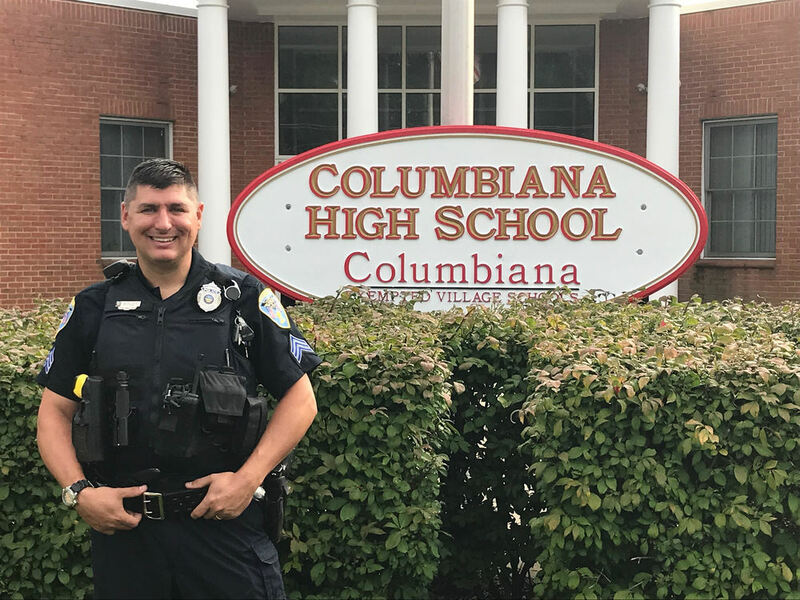 Sergeant Wade Boley is a 25 year police veteran serving with the Columbiana Police Department. Sergeant Boley was a patrolman until 2010 until he was assigned to the Detective Division. He was promoted to Sergeant in 2017. Sergeant Boley is a certified DARE/SRO officer. He serves on the Columbiana County Homicide Task Force and served on the SWAT team for the Columbiana County Sheriff’s Office for 8 years regularly participating in tactical high risk law enforcement operations. Sergeant Boley is a certified Cell Phone and Computer Forensics analysist assisting agencies in investigating and securing digital evidence. Sergeant Boley is a certified rescue and recovery SCUBA diver and provides technical services to local agencies in underwater crime scene documentation and recovery. He is also one of the original members of the ADAPT team for the Columbiana/Crestview Area and is often invited to guest speak for youth leadership training for multiple counties multiple county. Sergeant Boley is a combat veteran, having served three years in the Army and three years in the Airforce Reserves, completing a deployment to Iraq in 2004. While in the military Sergeant Boley earned the prestigious Air Medal, the Ohio Commendation Medal, three Army Achievement Medals and the Global War on Terrorism medal. Sergeant Boley serves Columbiana County as a forensic death investigator for the Columbiana County Coroner’s Office and holds national recognized credentialing through the American Board of Medicolegal Death Investigators. Sergeant Boley teaches at Kent State University and specializes in Crime Scene Management, Death Investigation, Interview and Interrogation, Tactical Operations and Self Defense. He holds an instructor certificate for TC3 (tactical combat causality care) and is a state certified law Enforcement Instructor through the Ohio Peace Officer Training Academy. He has a passion to protect our community’s most valuable resources and assets. Sergeant Boley has authored and presented numerous curriculum for active shooters and has consulted in policy development and trained the staff of several businesses and school districts in emergency operations.